Synchronize and backup files and folders. 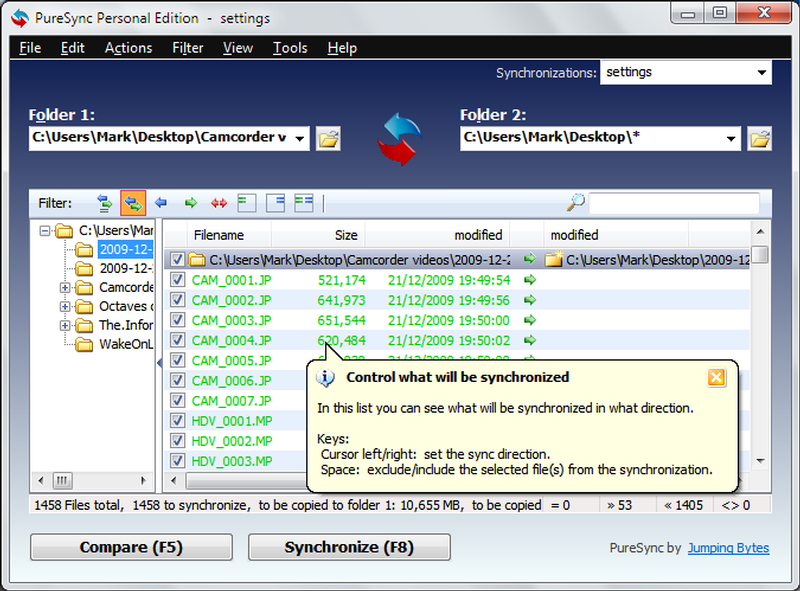 PureSync by Jumping Bytes is a Windows program to synchronize files and folders, and to do backups e.g. automatically in the background.